From dazzling birthday party decorations to delightful tableware we gathered a few cool birthday festive ideas so you can throw a party to remember. This dazzling Happy Birthday Banner with Gold Balloon Letters is perfect for birthday parties. 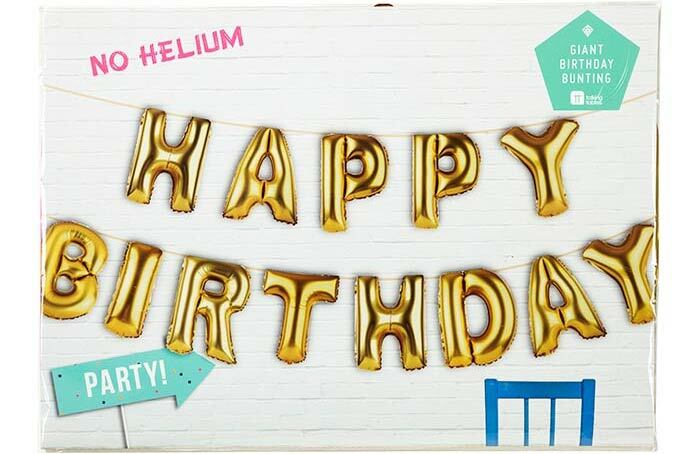 You don’t need any helium for the balloon letters – you just inflate them with a straw and then hang it! Both the straw and the ribbon are provided. For more info just click here. These adorable Ice Lolly Lights are great for spring and summer birthday parties and as they are battery operated you can use them both indoors and outdoors. 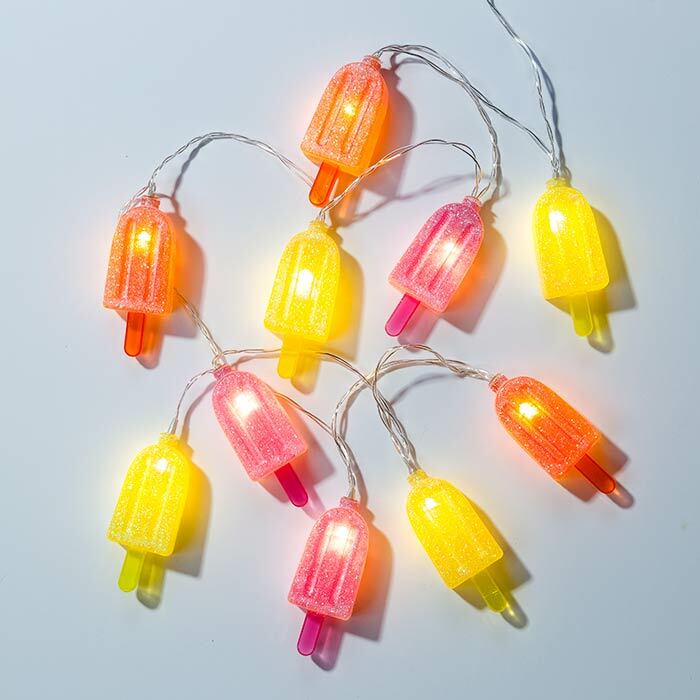 There are ten Ice lolly lights in pink, yellow and orange producing a soft warm glow – perfect for creating a party atmosphere in your backyard. To Buy it Online click here. 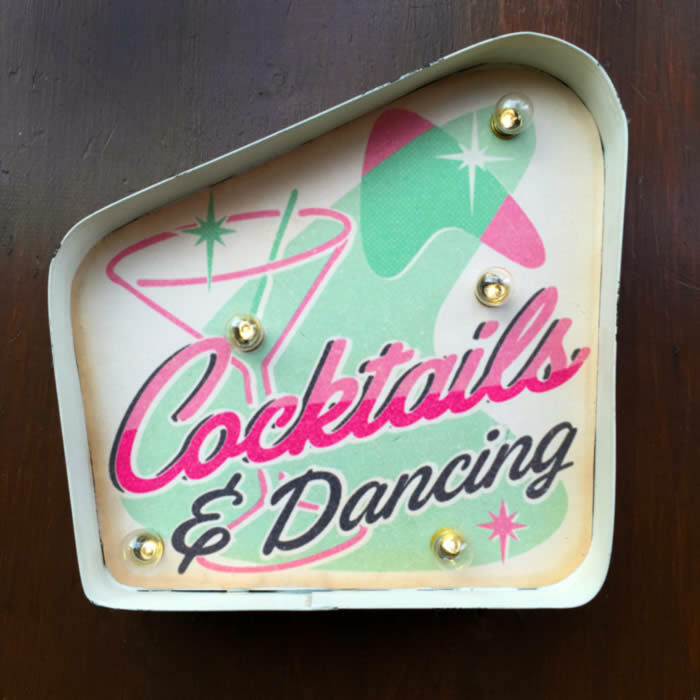 We have two more lovely battery operated lights – the white pom pom lights and the neon pom pom lights by Pom Pom Galore. Made from a garland of LED lights decorated with woolen pom poms in white colour or multicoloured neon – the lovely lights are an affordable way to jazz up your birthday party. 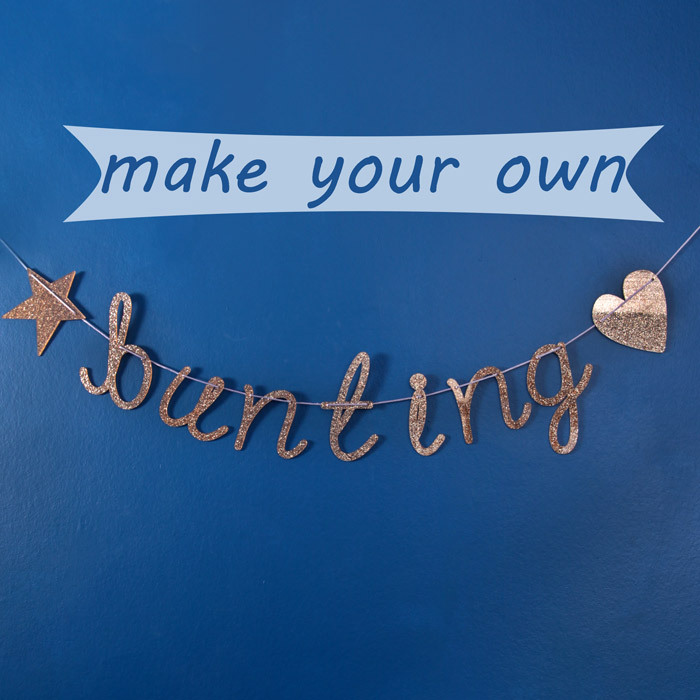 To Make Your Own Bunting for party decorations we have a bunting with all the letters of the alphabet, along with a star and a heart in glitter letters so you can create your own personalised party decor. 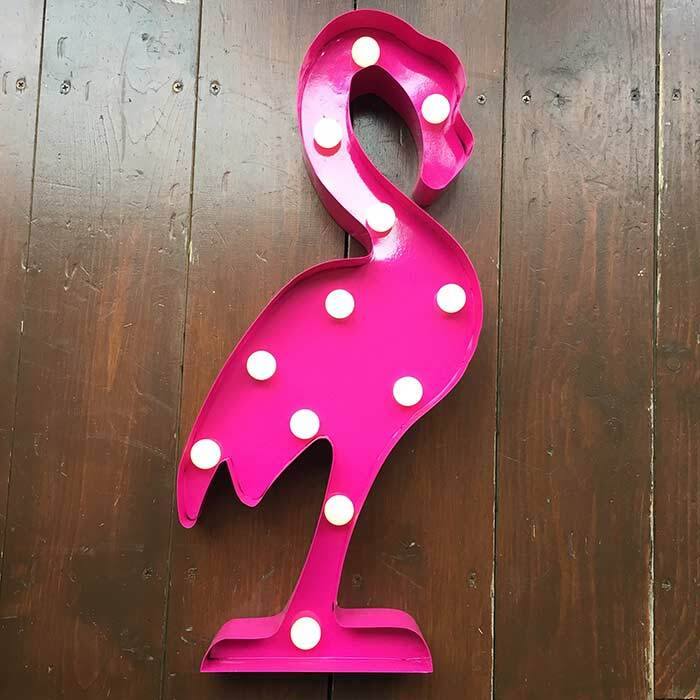 For adding a touch of retro glam to your birthday party the Flamingo Lamp and the Cocktails & Dancing Light Up Sign are just perfect. 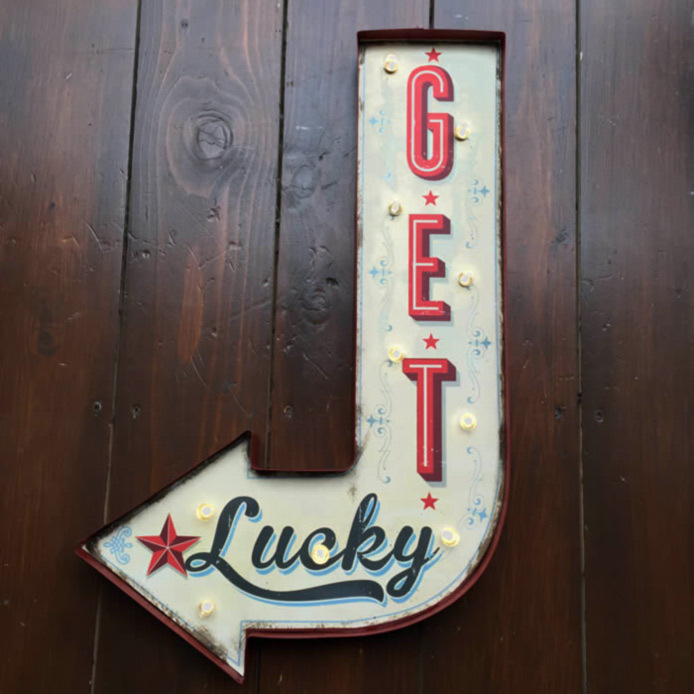 And if you want to add a bit of cheekiness to the atmosphere the Get Lucky Light will do the job! 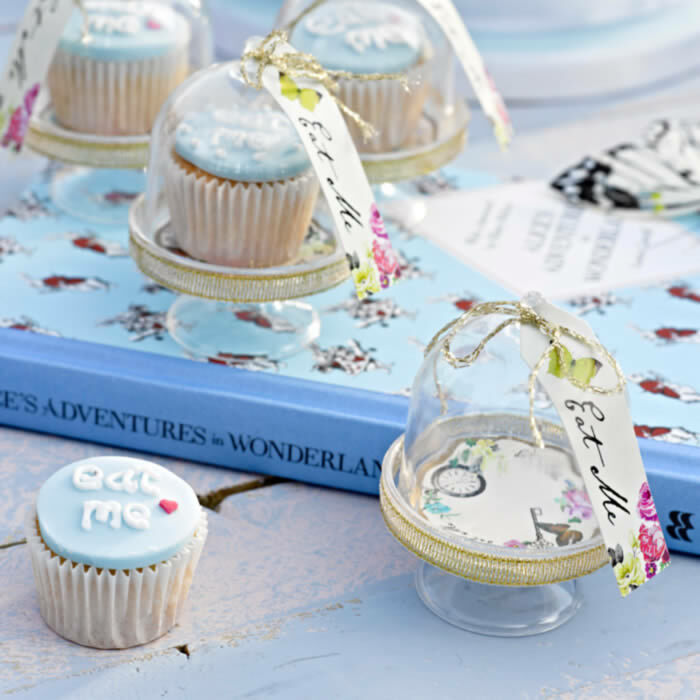 For the Alice in Wonderland fans or those who would like to add a touch or retro style to their party table we have two very cute products by Talking Tables. 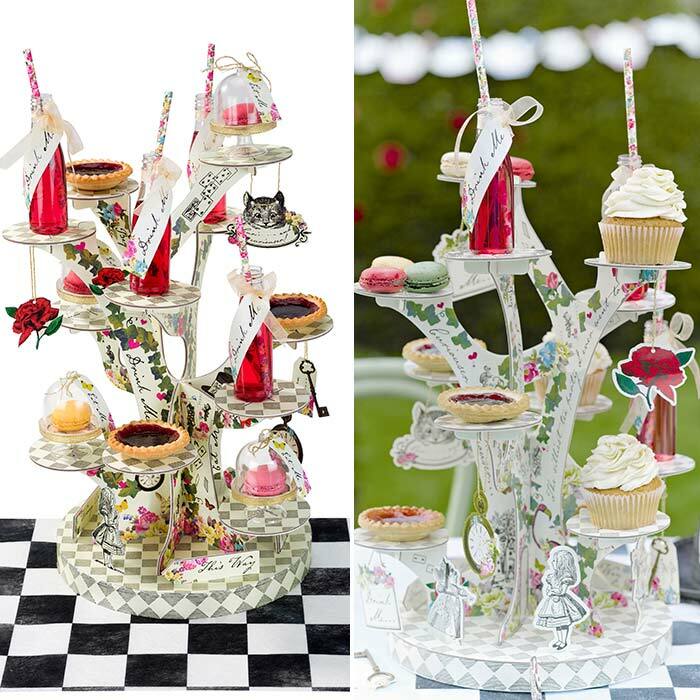 The Truly Alice Cardboard Cakestand from the Alice in Wonderland range is a delightful way to show off your cupcakes, canapés and mini sandwiches and makes a great centre piece for your birthday party. We also stock the Truly Alice miniature cake domes from the same range – the perfect finishing touch for decorating your cupcakes. For more home decoration ideas for your dinners, parties and events take a look at our homeware collection.